This scree slope is on the Birdwood Range. 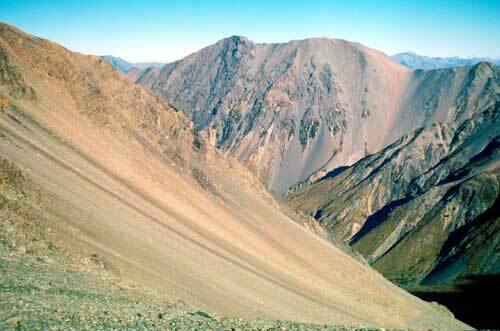 Scree slopes are common in New Zealand’s mountains, especially on the eastern side of the South Island. Although they appear bare of vegetation, a few plants are adapted to these unstable surfaces. They have deep root systems that penetrate into the fine, silty soil beneath the scree stones, and most have the ability to re-sprout if the upper part of the plant is ripped off or buried.